Business Oulu is planning to organize the delegation trip to participate in “Rooms34 (34th)” fair held on 15-17 Feb 2016 in Tokyo. Rooms is one of the biggest Fashion x Design fair in the world since 2000. It provides the business place to meet between creators and buyers & journalists. Now, it has been developing as “Global rooms” aiming to promote cultural exchange and creativities by distributing directly future creations to the world. 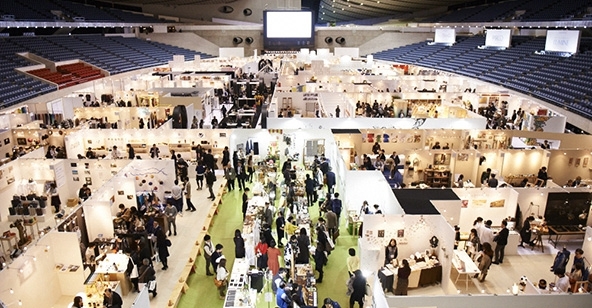 It’s business-oriented fair in fashionable and sophisticated space, because it opens to professionals only such as domestic & international buyers and press, so that it’s very effective to start fast and direct business and to get many valuable contacts for your company growth in Japanese market. In Japan, Finnish design attract many Japanese people, in particular ladies, year by year. In recent years, many Finnish design products can be seen in Japan and lots of Japanese people love the taste of Finnish design and they show the interests in Finnish lifestyle as well. Please don’t miss this opportunity and timing for your business in Japan!! (NOTE) Rooms is so popular and competitive that it’s necessary to go through the “audition” to be exhibited there. In case of being selected, this delegation trip will be realized. After the registration, company needs to give the following items for each brand to Takako ASAP. Materials showing your works from the past (photos and etc. *Please be sure to write down the price of each works. Private companies related to the following categories and located in Pohjois-Pohjanmaa region including a company having a branch office or a shop in this region. (Note) It’s allowed to arrive in Japan earlier than 13.02 or leave Japan later than 18.02, but participating in Rooms34 for 3 full days is obligatory. *Business Oulu covers the cost of this shared booth (= fair participation fee). Arrange the whole program of this delegation trip and take care of practical things for Rooms34. Accompanied by Business Oulu Takako Uchida (native Japanese speaker) with this delegation. *In case you wish to save on travel cost, there are many budget hotels in Tokyo as the option.